The Canon Mount Adapter EF-EOS R is the key to unlocking access to the vast array of Canon EF, EF-S, TS-E and MP-E lenses to the EOS R-series cameras. It is probably safe to say that most photographers expected Canon's first full frame mirrorless camera series to easily integrate into existing kits by supporting the current Canon DSLR full frame lenses, the EF, TS-E and MP-E lines. But how that support would be provided was not as clear. That a mount adapter, the Canon Mount Adapter EF-EOS R, was the provided option was not shocking. 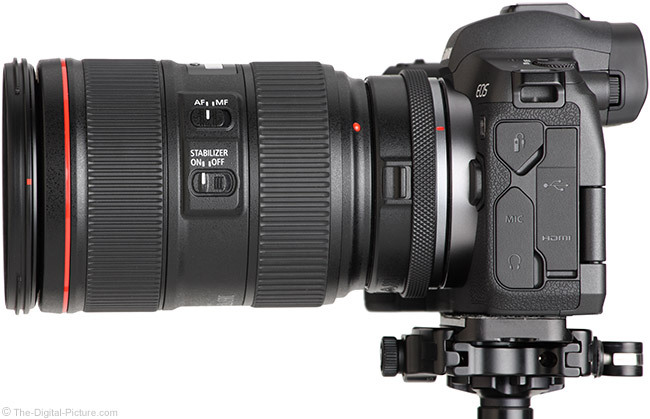 This option enabled more advanced lens designs with the new/native Canon RF mount while maintaining the full functionality of the existing lenses with the adapter. 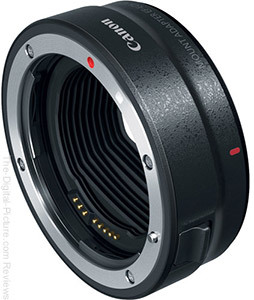 A bonus is that even APS-C format EF-S lenses are supported on full frame RF-mount cameras using this adapter. Which Canon Mount Adapter EF-EOS R Should I Get? The Canon Mount Adapter EF-EOS R comes in three different versions. Thus, there is a choice to be made. 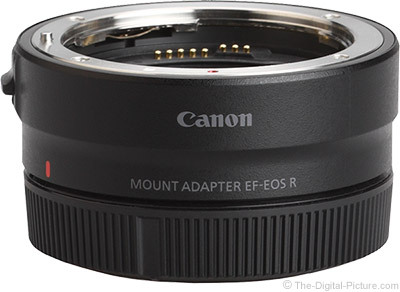 The base version, Canon Mount Adapter EF-EOS R, is a no-frills device that simply allows you to use EF, EF-S, TS-E or MP-E lenses on RF-mount cameras. It's the lightest option available and is also the least expensive, with a very good value price tag. If you do not need the extra features included in Canon's other adapter versions, the Canon Mount Adapter EF-EOS R is an excellent choice. 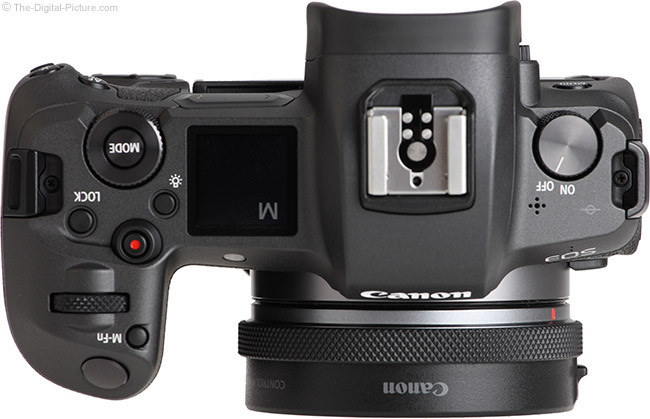 Those wanting to add Control Ring functionality to their EF, EF-S, TS-E and MP-E lenses will find the Canon Control Ring Mount Adapter EF-EOS R the ideal fit. 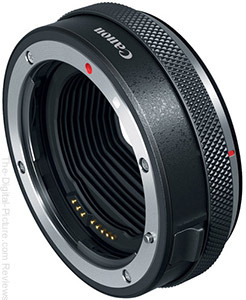 This version costs roughly twice as much as the base mount adapter but incorporates the customizable Control Ring feature found on Canon's RF-mount lenses to the adapted lenses. The Control Ring can be set to adjust exposure settings such as aperture, shutter speed and ISO values as well as exposure compensation. The Canon Drop-In Filter Mount Adapter EF-EOS R allows you to insert a filter in between your camera and lens. The Drop-In Filter Mount Adapter EF-EOS R can be purchased pre-packaged with a circular polarizer filter or with a 1.5-9-stop variable neutral density filter, both featuring a small external wheel that smoothly makes the internal rotation adjustments. The Canon Drop-In Filter Mount Adapter EF-EOS R offers photographers unique universal filter solutions enabling the use of filters on lenses that are otherwise incompatible with front-mounted filters, such as those with bulbous front elements. While the Drop-In Filter Mount Adapter is the most expensive adapter option, that it can conveniently replace multiple filters of varying sizes adds greatly to its value. Note that this variable ND filter design, like other variable ND filters, utilizes a double-polarization design and cross hatching can become visible at the darkest settings. Unlike most front-mount variable ND filters, this one does not impart hard mechanical vignetting at wide angles due to a thick filter rim. To use the adapter without an effects filter, it is easy to simply remove the filter. However, a simple cover to fill the void is not available and there is an optical reason for this. Because the Drop-In Filter Mount Adapter is very-slightly longer than the non-filter models, the drop-in filter becomes part of the optical formula and is required. A big downside is that the Canon Drop-In Clear Filter A will cost you more than a standard adapter. 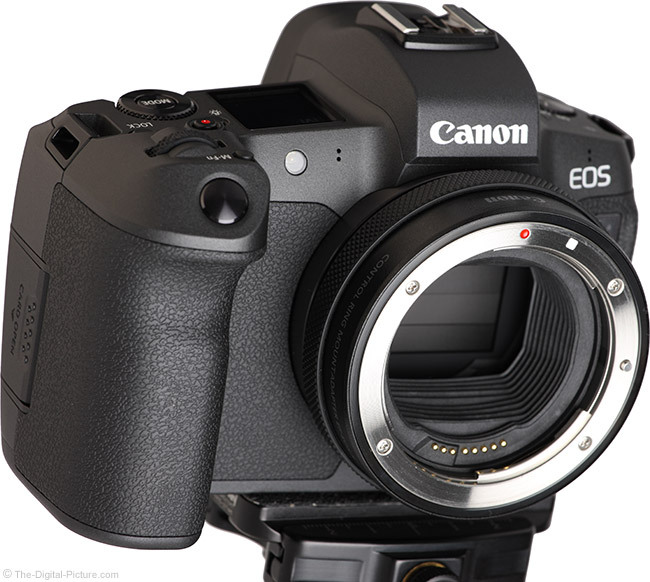 The drop-in variable ND and circular polarizer filters can easily be swapped, but note that at review time the Canon Drop-In Circular Polarizing Filter A costs nearly as much as the adapter and the Canon Drop-In Variable Neutral Density Filter A is priced the same as the adapter with this filter included. The with-filter adapter is a great option, but the price is high to begin with and additional features seem over-priced. Note that these drop-in filters are not compatible with the 52mm drop-in filters found in Canon's super telephoto lenses. All versions of the Canon Mount Adapter EF-EOS R are solidly built including weather sealing. Other than the optional filters available for the Drop-In Filter Mount Adapter version, the adapters are relatively simple devices that contain no optical elements, have only a single release switch and provide the electronics to allow the above-mentioned lenses to work with an EOS-R series camera body, adapting the older 8-pin style to the new 12-pin standard. 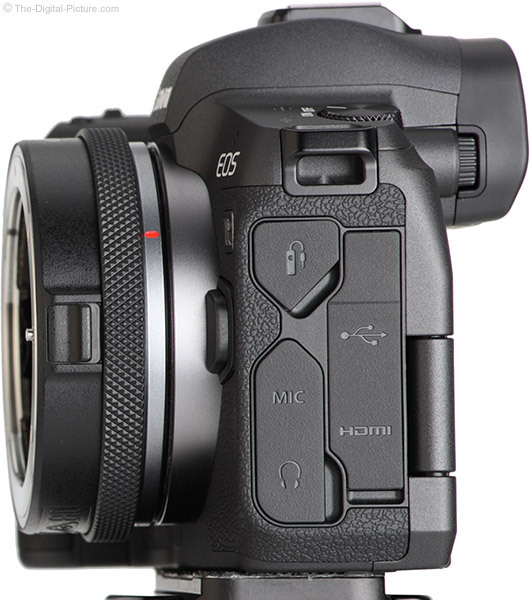 Unlike the Canon EF-EOS M Adapter, the Canon Mount Adapter EF-EOS R does not feature a removable tripod adapter. The three adapter versions have slightly different dimensions and weights as shown below. 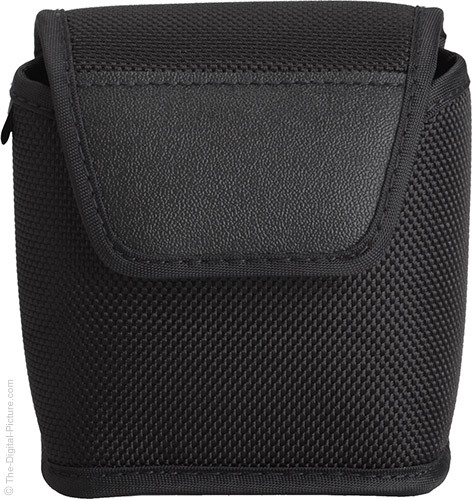 A padded nylon case is included in the box. If you have a Canon EOS R-mount camera and want to use lenses in addition to the RF type, one of the Canon Mount Adapter EF-EOS R iterations is the answer to the problem. The price of the base model is quite inexpensive, yet many will find the Control Ring and especially the Drop-In Filter version to be well worth the additional investment. Canon EF-EOS R Adapters add especially great value to an EOS R-series kit with legacy EF, EF-S, TS-E and MP-E lenses already in it.